Easy to install, clean, and operate. We have had this car seat for about 6 months now. It does a good job at keeping my child cool and I feel like it is very secure, which is obviously the most important feature. However, the fabric it peeling like crazy! I always following the washing instructions, but the fabric is still not holding up. I am very sad, as I like every other aspect of the car seat. I really like this new Chicco car seat. We have (6) kids, ages 8 years old and younger, all of which are in car seats ...so we have plenty of experience with car seats ...and from several different brands. - belt tightening system: I installed this in my '95 Accord, whose seat belts do not 'lock' (even after pulled all the way out) ...why don't all car seats have this feature?! - Recline options: I could customize the perfect install angle for all four cars in which I installed this car seat, both for my 10 month old (rear facing) and my 5 year old son (who is the size of a 7 y.o.). - I can use this car seat for any of our children ...from our 10 month old daughter to our 8-1/2 y.o. daughter. I love the versatility of that. - The head rest is very easy to adjust to any height. - The high side walls make me feel that our kids are more protected in our car than the car seats with little to nothing on the side. - The belt for the 'Latch system' seems a little short. I really had to wrestle the car seat some to install using the Latch System. Maybe I wasn't loosening the Latch belt correctly though. Overall, I would recommend this car seat for any parent. Although a friend at Chicco gave us this car seat, I have given my honest opinion above. This car seat is amazing. Extremely versatile. It's great because we have a six month old who can transition and adapt to the seat as she gets older. Has a nice recline feature to fit accordingly and also transitions well between our two vehicles because of the snap-in system. This car seat is fairly light-weight, but you can tell it's safe and durable. It's also easy to get our girl in and out of the seat, and adjusts easily with the one-pull harness tightening feature. This is a must-have product, and we are super happy to be able to know we can use this for years to come! This is a truly great car seat. The LATCH technology is the best and makes installation a breeze. The bubble indicators on the side make me as a mom feel confident that the seat is always at the proper angle. Living in Florida, the 3D Air fabric is the coolest fabric on the market for our son. This material breathes which is great so my son does not get hot in his car seat. My favorite feature though is that the seat unzips so it is extremely easy to clean. It is such a practical car seat that checks all of the boxes. 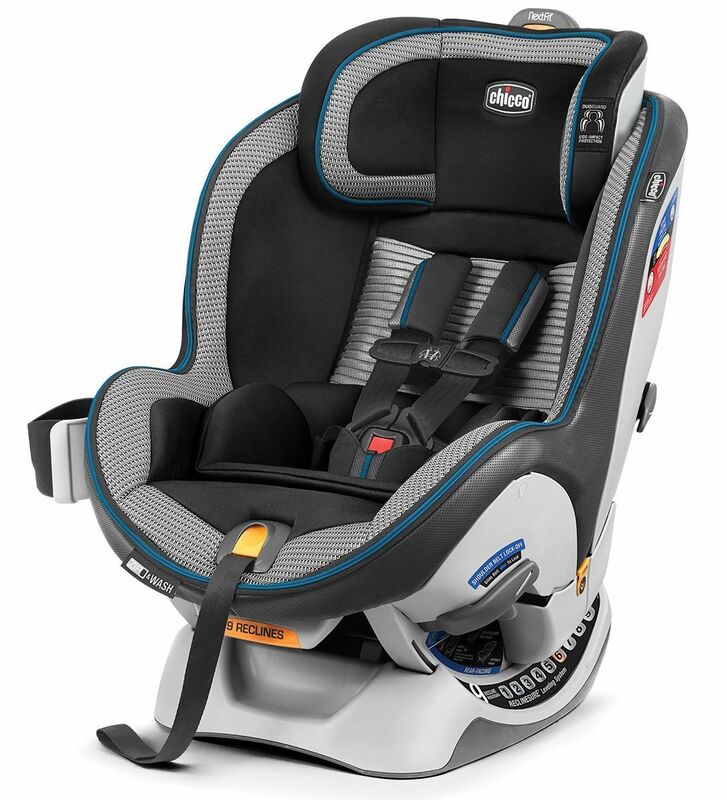 We are extremely happy with the NextFit Zip Air car seat and would recommend it to all parents. This seat is incredible! It is highly versatile, which will be perfect for our baby as she grows. It is solidly put together. Came out of the box already assembled with no directions needed. My child will seat in this chair like royalty and enjoy future car rides. This is a wonderful product. If you're in the market for a car seat; look no where else. The sticker price may shock you a tad, but it's worth every penny. I was most impressed with the zip off seat pad, which will allow for machine washing perfect for blowouts and throw ups. It also has a breathable mesh back mesh that will be valuable on hot days to keep baby cool. The best part of the seat is that it takes a 5lb baby to a 65 lb toddler. I'm very happy with this purchase and you will be too. Order today! We love this car seat it was easy to put in. Easy to clean my 1 year old loves it. Only thing we didn't like much about it was the Padding around the buckle that's the only thing that took time to get used too. Other than that we love it no questions about that. We loved our Nextfit Zip seats so I was very excited when the Nextfit Zip Air arrived! The seat is very easy to install and use. I love ease of getting my toddler in and out with little effort. The 5-point harness fits over my toddler's shoulders with no discomfort. The height adjustments allows your child to grow with the seat! Overall we are extremely pleased! Chicco provided this product in exchange for my honest opinion. This car seat is great for my 4 month old. It is very easy to install and the easily adjustable headrest and shoulder harness are very nice. Looking forward to using this for the next several years. Chicco provided this product to me in exchange for my honest opinion. As a mom of 4 we use a lot of hand me downs...but a car seat was much needed for our youngest and we wanted the best! This is an excellent car seat that we will have for rear facing and forward facing as he gets bigger. Excellent product! Chicco provides us with this product for our honest opinion. As a momma of a newborn, it feels as though you're constantly buying new items for your child as certain baby items are only usable for a short amount of time (I.e. a month to three months). However, this wonderful chicco product will be able to be used until our son is 60 lbs. WOW! We couldn't be happier to know that we'll be using this car seat for years to come! I am so happy with our NextFit Zip Air Convertible Car Seat. It is easy to install, feels tight and secure and has 9-position ReclineSure and 9-position headrest so I know it is at the proper angle and my son is comfortable. The 3D AirMesh keeps my son cool and he finally enjoys being in a car seat. I have great peace of mind with this car seat- my son is safe and he is happy. Couldn't ask for more!